on the table due to the block. 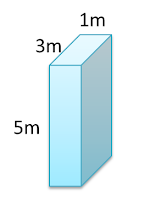 The volume of the block = 3 x 5 x 1 = 15m³. 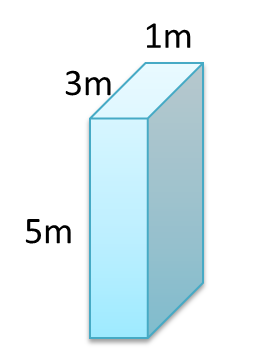 The pressure exerted on a surface is inversely proportional to the area of the surface. The bigger the surface, the lower the pressure. The pressure is the highest when the surface area is the smallest.